EXCITING times lie ahead for the PNG Barramundis in 2019 as they kick off their International Cricket Council’s calendar at the World Cricket League Division 2 tournament in Namibia in March. Captain Assad Vala, aggressive opener Tony Ura, stroke makers Lega Siaka and Sese Bau as well as vice-captain and spinning all-rounder Charles Amini Jr and pacemen Norman Vanua are set to be named in the squad which will be released next month, according to Cricket PNG chief executive officer Greg Campbell. “The Barramundis squad will be named late February and will go to Pretoria (South Africa) a week before the tournament to have a few warm-up games against Hong Kong and some South African teams to get ready,” Campbell, pictured, said. The Barramundis’ last international fixtures came in a home and away series against Hong Kong in the last quarter of 2018 which saw the Barras win the majority of 50-over and T20 matches of both series. The tournament also marks the first step on the road back to one-day status for the Barramundis starts. “We have to finish in the top four to move up in ranking and regain ODI status,” Campbell, a former Australian test and limited overs player, said. The International Cricket Council (ICC) released the April 20-27 tournament fixtures which will feature six sides: PNG, Namibia, Canada, Oman, Hong Kong and USA. Campbell said a top four finish for PNG would then see them progress to the qualifiers for the 2023 World Cup. 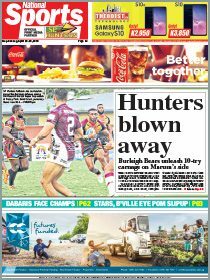 Campbell said the PNG side would be picked from the existing pool of talent which included the majority of Port Moresby-based players as well as NSW club bowler Chad Soper. The tournament will begin on Sat, April 20 with PNG taking on hosts Namibia at the Wanderers, Canada playing Hong Kong at WAP and Oman taking on USA at Trustco United. Each team will play each other in a single round-robin format, with the final and playoffs for third and fifth position to take place the following Saturday (April 27). 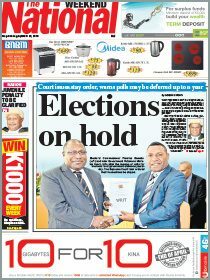 A press release from Cricket PNG said: “The WCLC Division 2 tournament will have important ramifications for qualifications or the ICC Men’s Cricket World Cup in 2023. “The top four teams from this tournament will join Scotland, Nepal and United Arab Emirates in the ICC Cricket World Cup League 2 2019-21, and play 36 ODIs each over a two-and-a-half year period in 21 tri-series. “The top three teams in the ICC Cricket World Cup League 2 will advance for the World Cup qualifier of which the top two will advance to the 2023 World Cup. “The bottom two teams from the ICC WCLC Division 2 tournament will enter the Cricket World Cup Qualifier Challenge A and B.
Fixtures: WCLC Division 2 – Sat, April 20: PNG v Namibia, Canada v Hong Kong, Oman v USA; Sun, April 21: PNG v Hong Kong, Namibia v USA, Canada v Oman; Tues, April 23: PNG v USA, Hong Kong v Oman, Namibia v Canada; Wed, April 24: PNG v Canada, Namibia v Oman, Hong Kong v USA; Fri, April 26: PNG v Oman, Canada v USA, Namibia v Hong Kong; Sat, April 27: Final, Third-place playoff, Fifth-place playoff.